The Timmins 2020 Brand Committee continues to work on developing the new community brand images and signs. On July 29, the signage firm, Form Media, will be meeting with the Branding Consultant, Clark Marketing, City Public Works, MRCA and a local sign manufacturer to finalize locations for the new signs. Next week, committee members will meet to select a theme and design for the signs. 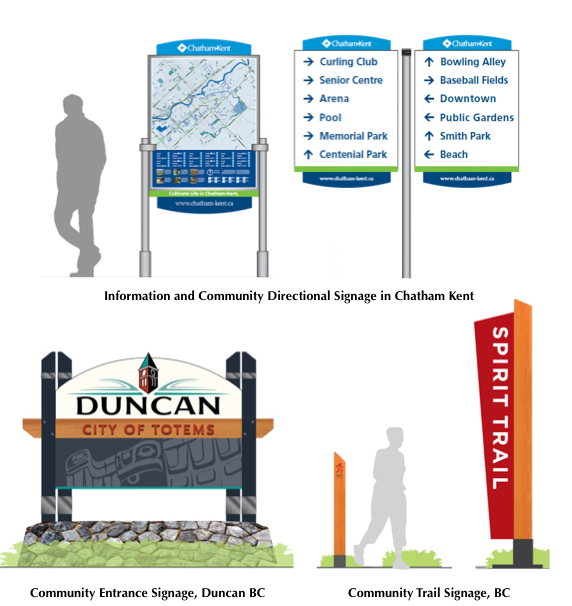 As requested by many stakeholders during the consultation in 2011, Timmins will be getting new directional signage and community entrance signs to welcome tourists, visitors and investors. They will also beautify and help tie together our communities. The signs should start rolling out late this summer.